One simple click to indicate “No Shows” & other cancel reasons! Now, it’s even simpler to tell us why you unfortunately had to cancel a trip request. 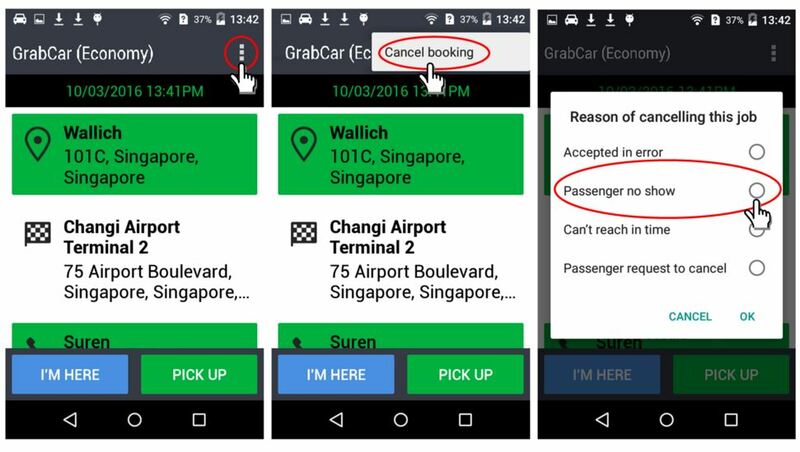 Indicate “No Shows” & other cancel reasons via the Grab Driver app! To unlock this feature, simply update your app! Partners on Android Version 4.0.2 (Ice Cream Sandwich) may continue to WhatsApp/SMS us for trips up to 26 March (inform us by 27 Mar 2359 hrs).